COMME des GARÇONS caused quite a stir when it unveiled a platform version of Nike’s Cortez sneaker back at its Fall-Winter 2018 fashion show. The concept itself isn’t new, with Gucci and Prada releasing versions of its leather sneakers in glittery metallic or rainbow-hued platforms a couple of seasons back. 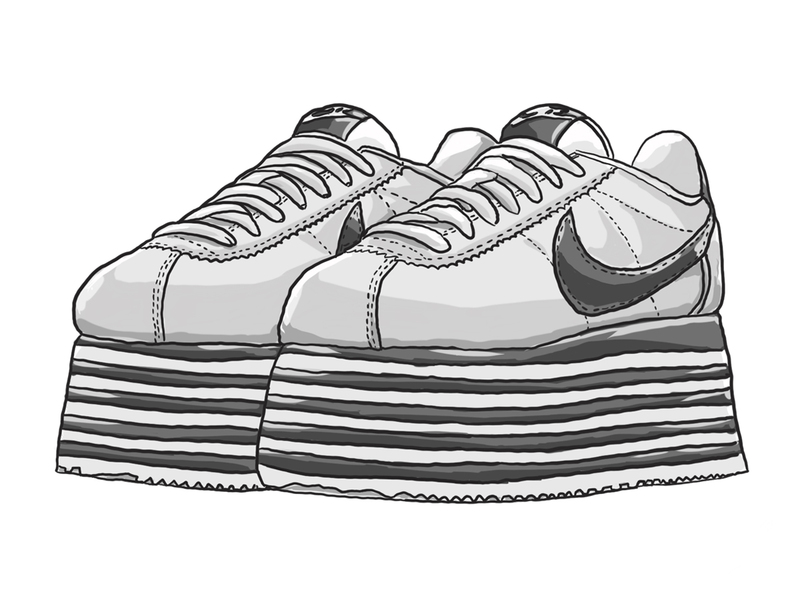 What’s interesting about COMME des GARÇONS’ interpretation, however, is the spin on Nike’s 46-year-old classic Cortez, one that’s given the avant-garde treatment the Japanese fashion brand is famous for. Both styles seen on the runway will be up for sale in two colour combinations each. The first features a striped sole (pictured above) while the second is furnished with a checkerboard print. Both pieces will come in a Black or White leather upper, finished with a contrasting Nike swoosh and mismatched insoles. Before you get all excited and run down to your nearest Nike store, know that the COMME des GARÇONS x Nike Cortez sneaker will only be available at COMME des GARÇONS Hilton Hotel and limited to just 53 pairs. Priced at SGD760 each, they will go on sale on 20 November 2018, so you sneaker heads better know what to do. Then post your loot on Instagram. You’re welcome.